Planning family travel and summer vacation isn’t always pleasant. Here are some top tips on finding destinations for the entire family, including the moms and dads. School may not let out until the end of May, but now is the time to start planning that summer vacation. While some deals can be found by last minute booking, this does not guarantee you will get your first choice vacation. The Caribbean and Mexico – Your favorite travel agent can help you book a stress-free all-inclusive vacation. 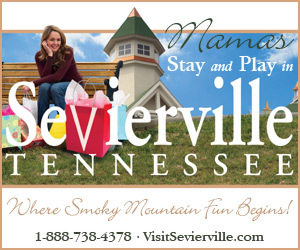 Smoky Mountains – Dollywood, Dolly’s Splash Country, and of course the mountains. New Orleans: Harrah’s Hotel is conveniently located near the Riverwalk, French Quarter, and Fulton Street. Families can book a package that includes the Aquarium, a riverboat ride, and admission to the Audubon Zoo. Music festivals, throughout the summer, including the Satchmo Festival, are family friendly. Here in Baton Rouge: With the price of gas and higher airfare, many people are choosing to stay close to home. Summer can provide the perfect opportunity to explore our own backyard with your family. Places to visit include: Planetarium, Bluebonnet Swamp Nature Center, LASM, Alligator Bayou, and so much more.